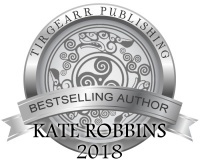 Internationally bestselling author of the award-winning Highland Chiefs series, Kate Robbins writes historical romance out of pure escapism and a love for all things Scottish. She thoroughly enjoys the research process and delving into secondary sources in order to blend authentic historical fact into her stories. 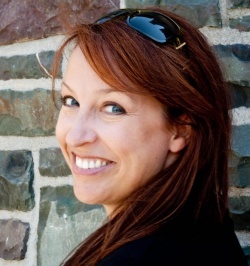 Kate is the pen name of Debbie Robbins who lives in St. John’s, Newfoundland and Labrador, Canada. After losing her father, Aileana Chattan discovers she is to wed neighboring chief and baron, James MacIntosh--a man she despises. James is a nobleman torn between tradition and progress. Forced to sign a marriage contract years earlier binding Lady Aileana to him, James must find a way to break it, or risk losing all--including his heart. Honor, duty and love are challenged at every turn. Nessia Stephenson is a woman who's future has been planned for her, including the man she'll marry. When she meets Fergus MacKay, brother of her intended, her choices could mean a clan war. Two years ago, Freya MacKay walked away from the only man she would ever love, knowing her clan would never accept their love. Ronan Sutherland has lost everything to a cruel uncle who will lay the entire north Highlands to waste if he's not stopped. There is only one who can help, but seeking alliance with his former enemy, Fergus MacKay, means encountering the woman who left him two years ago. Annabella Beaufort is cousin to the Queen Consort of Scotland, and Angus MacDonald is son of Alexander MacDonald, Lord of the Isles. Though they fight on opposite sides of the battle for power over Scotland, they discover a fire that will not be ignored. Will their families loyalties tear them apart? Will she return to him if he releases her? Or will she imprison his heart for all eternity? Independence is not an easy path in a world dominated by men. When Muren's betrothal to Rorie is broken, she vows to take control of her life. After inheriting his clan, Rorie is pulled into the king's schemes involving Muren, but diplomacy will only take him so far. Facing impossible odds, Rorie and Muren seek the one power that can obliterate any barrier—love. Stripped of her title, Gwendolyn MacGregor was put into service for the chief of the Chattan Clan. Calum MacIntosh believes virtue is the most important gift he can bring to marriage. When his path crosses with Gwendolyn, he is inexplicably drawn to her. Caught between longing and duty, they discover a powerful bond that will not be defined by social expectations or status—and will not be denied. Sir William MacPherson is honoured by the queen mother's invitation to protect her. The only catch: he must reside at Stirling Castle. Coira MacLaren is the one woman who can bring him to his knees. Her refusal of his marriage proposal hit him hard and he has not seen her since. Can he harden himself against her, or will their insatiable lust for one another burn them to cinders this time?